Summer Twins' last show before they retire the band to pursue new paths. Join us for the closing of this chapter. 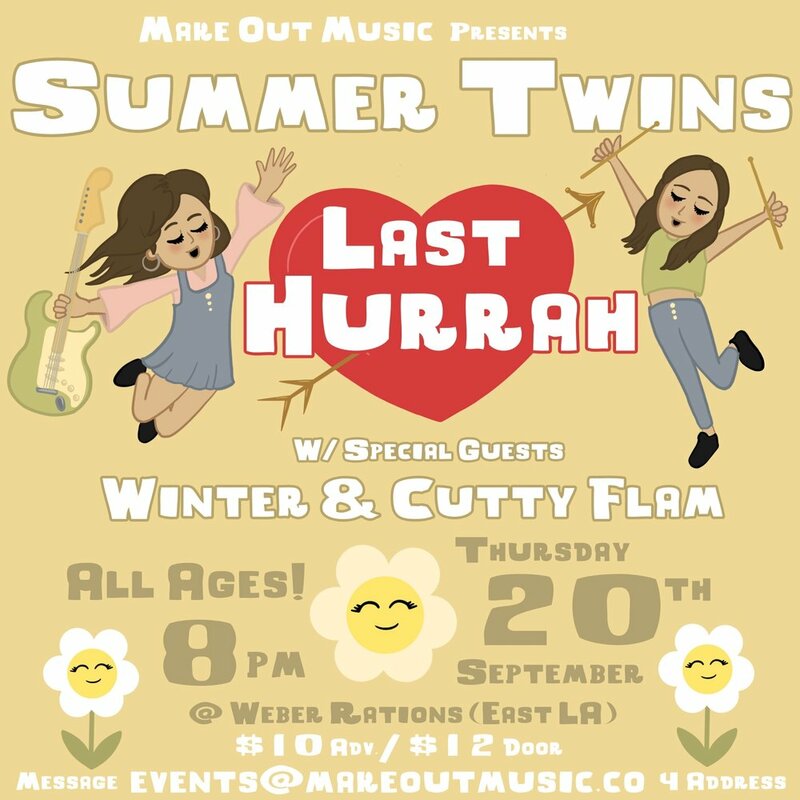 Performances by Summer Twins, Winter, and Cutty Flam. Will send address on monday!